The Celestron RS-232 Cable is used to connect your PC or computer to NexStar computerized telescopes via a port in the hand control. The large adapter attaches to the serial port of your computer. 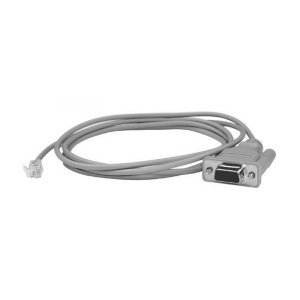 If your computer does not have a serial port, you will need a Serial-to-USB Adapter so that you can connect the RS-232 Cable via a USB port instead. The other end of the cable terminates in a phone-jack style plug, and simply snaps into the port designed for this purpose. Requires a Serial-to-USB Adapter if your computer does not have a serial port.